Provide the best possible outcome in each case, whatever it takes. Reading, theater, running, skiing, mountaineering. 847.570.2570 847.570.2073 fax Get Directions This location is wheelchair accessible. The overall rating score is an average of responses, over the last twelve months, to care provider related questions on our nationally-recognized Press Ganey Patient Satisfaction Survey. Dr Barboi spent a lot of time with me and answered many questions. At the end, he offered to keep in touch through Noeth Shore Connect as other questions arose. He also consulted with another of my doctors to provide optimal care for me regarding medication changes. Dr. Barboi was very helpful in explaining why I have been experiencing different symptoms and what to expect in the future. He explained how my condition is so different and why it is so hard to treat, also what kind of treatments they have tried and the success they have had with them. It helped me to understand what is happening to me and how to cope with some of the problems I am experiencing. Dr. Barboi is the absolute best! I continue to drive from Wisconsin to see him because he is the most compassionate and intelligent doctor I have found in 10+ years with chronic illness. your practice is lucky to have him. I have seen Dr. Barboi with both of my children for their issues and then for myself. I really like him - he is kind and answers questions and is helpful. The care I have received from Dr. Barboi over the last 6 years has been excellent. Dr. Barboi takes the time to listen and discuss my condition with me. He reviews my case prior to meeting with me and is genuinely interested in what I have to say. I feel we work as a team to plan the best protocol for me. *Dr. Barboi is one of a kind. He is so kind and compassionate. I'm thankful he's on my team. well none of this was his fault but my mom came and she used to be a nurse so she thinks she knows everything and she dominates the conversation. I'm 19 and I know what questions I want to ask. she talked about changing my medications and other things that I didn't agree with before hand. since it's my medical condition I wish I wasn't talked over. As a practice I never recommend products or services to family and friends. 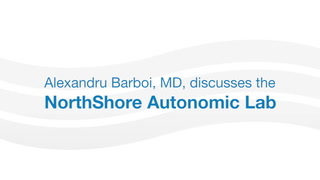 Dr. Alex Barboi discusses the new NorthShore Autonomic lab and provides a brief overview of Autonomic Nervous System disorders and symptoms. 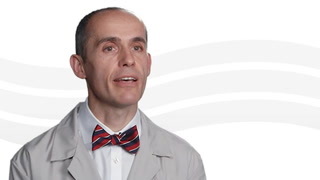 Dr. Alex Barboi discusses the treatment approach to treating patients suffering from an Autonomic Disorder. 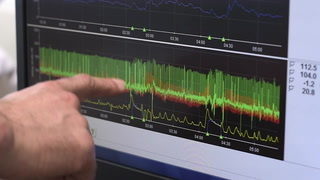 Dr. Alex Barboi discusses the different tests used when diagnosing an Autonomic Disorder.